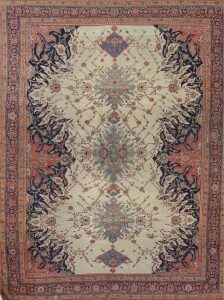 Now in Markazi Province, west Persia, the Feraghan district has woven a variety of styles and textures from good to truly exceptional quality from the 18th century onwards. The most recognizable are the dark blue gallery rugs with allover repeating Herati designs. 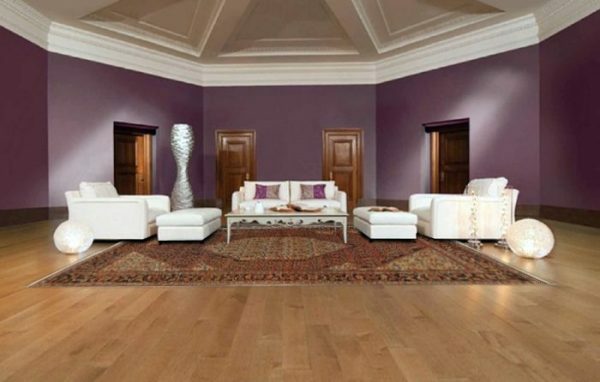 These antique Persian rugs are subtle and elegant, refined and urbane, restrained and sophisticated, the perfect accompaniments to traditional furnishings. 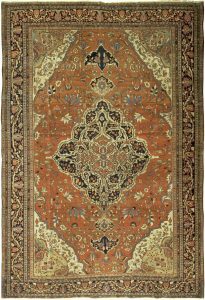 However, other antique Feraghan rugs often possess extraordinary color palettes, especially in smaller sizes. 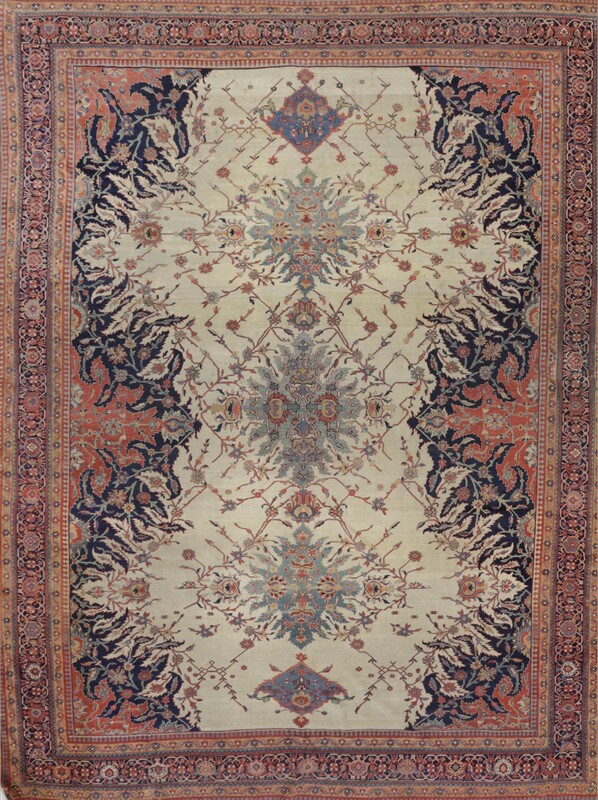 There is a transition to more compact and denser weaves in the medallion rugs, often with decorative ivory grounds, of the Feraghan-Sarouk type. 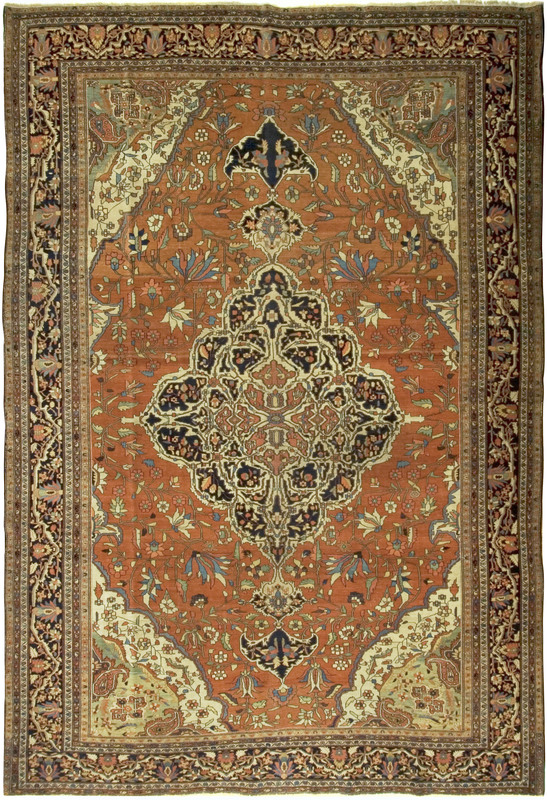 When one thinks of a “real Persian rug”, these immediately spring to mind. Later weaving’s from the area are more in the Sarouk manner.